Melbourne pro punter Trevor Lawson with his quaddie numbers and runner comments for Caulfield Guineas Day. Weather: Fine – 20% chance of rain. 15-20km winds expected. Won well first up, had excused previous two. Good record this trip, can impove. Improved each run this prep. Maps well. Good win last start, stays the trip. Rolls forward from the barrier. Racing well. High time/form ratings. Gets Oliver on board. Should go well. Mare who has winning ways, can improve again third up. Takes defeat for the first time last start after getting back in slowly run race. Genuine tempo here, should bounce back. Won well two starts ago, terrific run last start in Sydney. Worked hard off the pace. Ran well first up. Took time to get going last start over a shorter trip, better suited here out to 1600m, gets the in-form D.Lane. Only filly in the field. Wasn’t suited last start over the shorter trip. Got back in a slowly run race. Got too far back last start over shorter trip. Better suited here over the 1600m. Racing consistently this prep. Has improved rating each run. Solid claims. Returned in terrific form this prep. Winning first up over 1200m. Last start run down late over 1400m when found the front a bit early. Gassed infront last start. Forgive run, previous run terrific. Strong winner over this track/distance last year. Ran well first up off long spell. Struggled second up, given freshen up. Can bounce back here. Consistent gelding who ran well in Moonee Valley G1 over a shorter trip. Not really suited both runs this prep. Did produce peak figure this track/distance in last years carnival. Not suited first up. Terrific run second up working on the pace. Has good record this track/distance. Trev’s in really good form right now and tomorrow at Flemington he will be finding the best value runners for Melbourne ratings members. 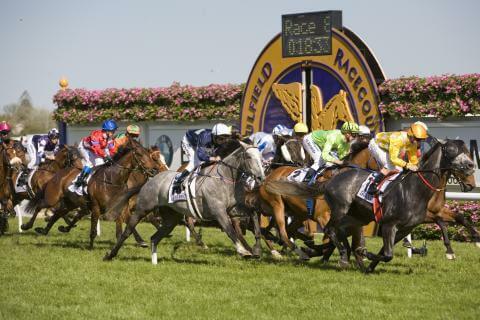 Get on board for best bets at 9am and then a full set of ratings to attack the afternoon.